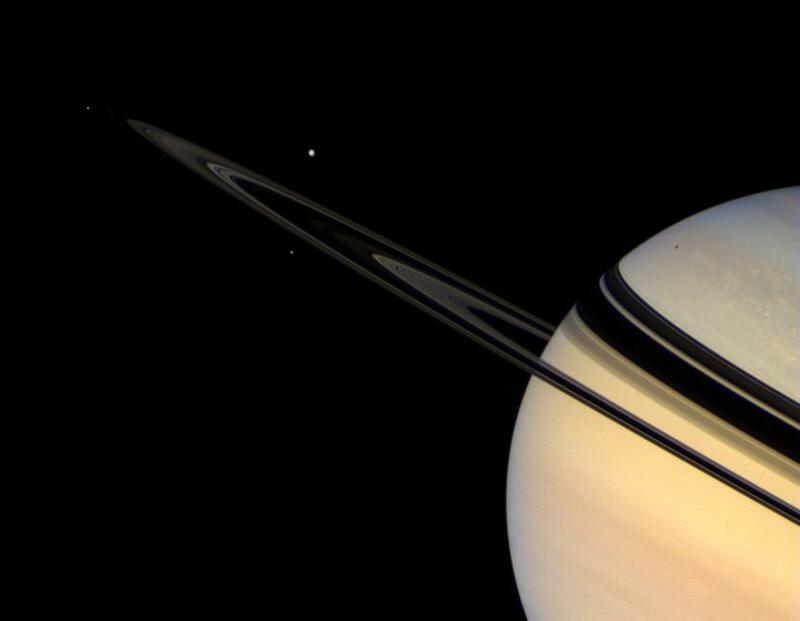 Saturn's icy satellites wheel about the colorful giant planet, while the rings shine dimly in scattered sunlight. 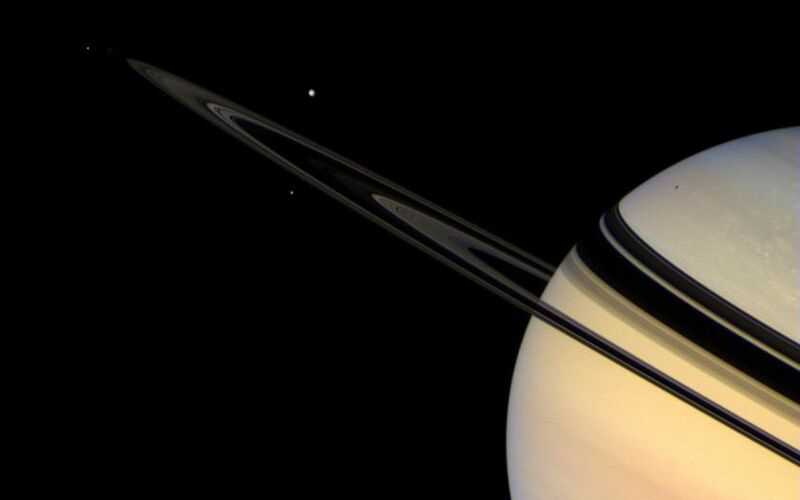 The Ringed Planet is, in many ways, a laboratory for investigating the history of our solar system and how planets form around other stars. There are four moons visible in this view. Tethys (1,071 kilometers, or 665 miles across), largest in the scene, is on the far side of the ringplane. Mimas (397 kilometers, or 247 miles across), is the one on the near side of the rings, below Tethys. Janus (181 kilometers, or 113 miles across), is left of the rings' edge. Pandora (84 kilometers, or 52 miles across) is a speck below the rings' edge, between Janus and Mimas. Mimas casts a shadow onto Saturn's bluish northern hemisphere. Images taken using red, green and blue spectral filters were combined to create this natural color view. The view was acquired with the Cassini spacecraft wide-angle camera on Oct. 30, 2007. The view was taken at a distance of approximately 2.6 million kilometers (1.6 million miles) from Saturn. Image scale is 153 kilometers (95 miles) per pixel on the planet.